Commercial level Lot. 7.06 Acres with great visibility. The property is in the Westminster growth area. The area is primarily light industrial and flex-space uses. 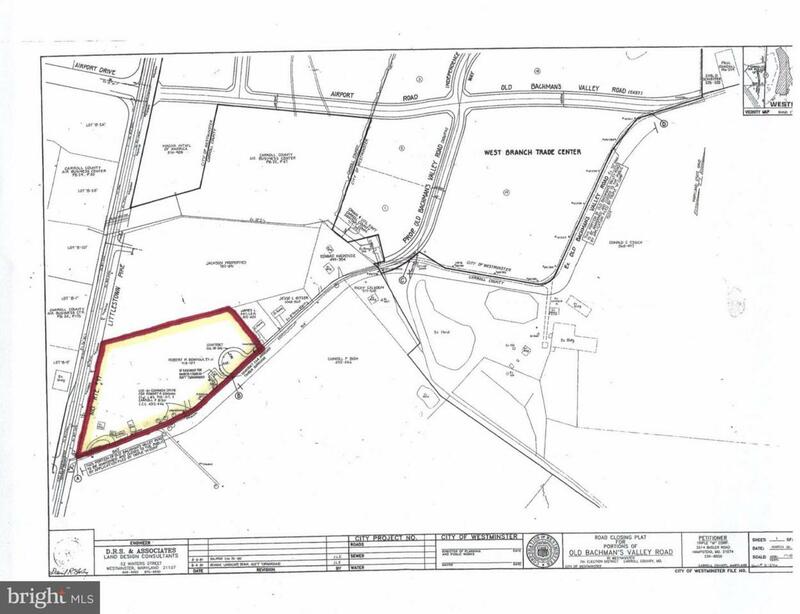 The lot sits on the corner of Littlestown Pike and Old Bachmans Valley Road across from the Carroll County Regional Airport. Property Major routes: Rt. 140, Rt. 97, Rt 31 and Rt. 27.